Would you like to get some inspirational ideas from the Latest Celebrity Bob Haircuts? In this post you will see the best short haircut ideas to update your look for this season! Messy and wavy hairstyles are now in trend and you can create messy waves with curling iron and texturizing hair products. Look how cool is Cara Delevingve’s long bob hair! She looks modern,chic and stylish. Her side swept bangs and wavy light brown bob hairstyle really face framing and cute. Short bob hairstyles are really versatile and popular that looks great almost every women. Here is a blow out side parted ombre bob hairstyle of Rose Byrne. 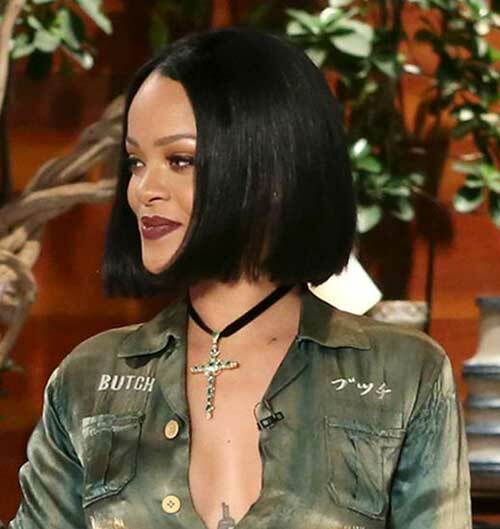 Rihanna’s dark blunt bob haircut is a great inspiration for women all around the world. Here is another long bob hair of Cara: messy, relaxed and stylish. Short blunt bob with dark hair color and blunt bangs soo vintage but also very feminine. Dark gray hair color and wavy bob hairstyle is suitable for her style and her age. Platinum blonde blunt bob hair of Emily Weiss is simple yet elegant. Choppy layers are great for women over 40 to create some texture and volume. 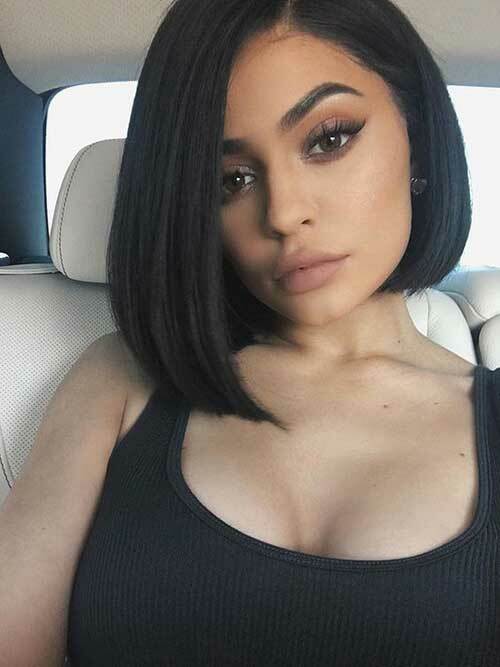 Kylie Jenner’s lips are her signature but her asymmetrical dark bob hair also looks great on her! Her long bob hair with blonde hair color would be suitable for women with oval face and thin hair. If you are into textured short hairstyles, here is a choppy layered short bob haircut! Side swept bangs and ombre bob hair completes Jenna Coleman’s petite face. Messy bob hairstyle of her make a really nice statement of her casual style. Layered short hairstyles are great options for ladies over 50. 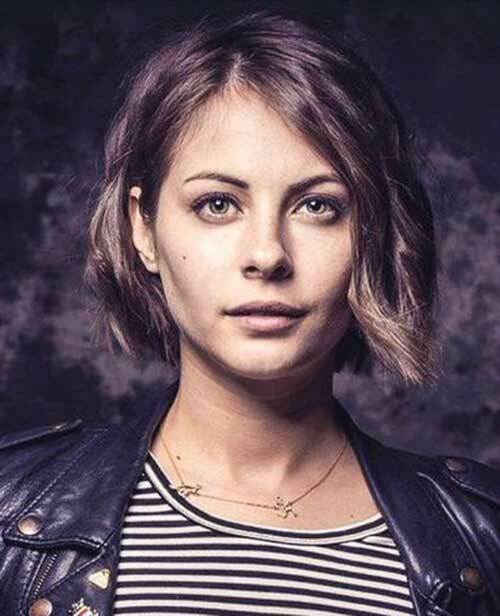 Wavy and layered bob hairstyles can frame your face nicely and side parted styles are perfect for women with hearch shaped faces. Here is another short bob hairstyle that can be sported by women of all ages. As we said before messy styles are perfect for short hairstyles like Rachel Mcadams’ short bob.